Please be advised that your application is not completed and will not be processed until the application fee is paid. A payment receipt number will be requested when filling out this application. Payment Receipt Number If you have not paid the application fee, go to the link located at the top of the page. If so, what is your username or number? If yes, please write down the university name. Have you taken TOEFL or IELTS or TOEIC or PTE? If yes, when did you take the TOEFL or IELTS or TOEIC or PTE? If yes, what is your score on the ACT or SAT? Are you currently enrolled at a US school? If yes please write down the name of the agent? 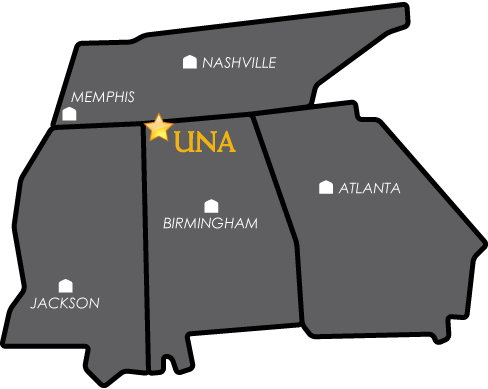 Original documents (no copies) must be presented as soon as you arrive to UNA.